Neil De Koker is the founding president and CEO of the Original Equipment Suppliers Association (OESA). Founded in August 1998, OESA represents suppliers of components, modules, systems, materials, equipment and services used in and by the original equipment automotive industry. OESA provides a forum for members to address issues of common interest provides a voice for the industry and promotes the interests of the OE supplier community. The association currently represents over 400 companies with global automotive sales of more than $300 billion. Mr. De Koker’s 50-year career in the automotive industry includes 23 years with General Motors Corporation where he played a lead role in the organization and development of GM’s energy management programs, and later in the development and organization of Saturn Corporation with a focus on the unique partnership with the UAW. He spent four years at Magna International serving as senior vice president, helping to organize and manage the formation of the automotive systems corporations. In addition, he served as senior vice president for Tier 2 supplier companies, The Woodbridge Group and MascoTech Inc., and co-owned a corporate communications company focused on automotive customers. 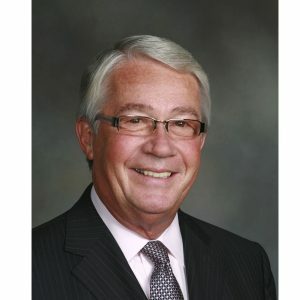 Mr. De Koker serves on the Board of the Automotive Hall of Fame, the Board of Trustees of Kettering University, the Board of the Center for Automotive Research, and the Board of the Japan America Society of Greater Detroit and Windsor (including Chairman). In the past, Mr. De Koker has also served on the boards of the SAE Foundation and the Michigan Manufacturing Technology Center. While living in Canada, he served on the board of the Automotive Parts Manufacturers Association of Canada (including Chairman), the Automotive Advisory Committee to the Minister of Industry Canada, and the Sectoral Advisory Group on International Trade. Mr. De Koker is a Fellow of The Engineering Society of Detroit (ESD), an organization that honored him as an “Outstanding Young Engineer” in 1978. He is a member of Tau Beta Pi where he was honored as Eminent Engineer in 1990. In 2004, he was awarded the Executive Leadership Award from the Marketing and Sales Executives of Detroit. He received the 2004 Outstanding Alumni Award from the Michigan State University Broad College of Business. In addition, he received the 2007 Visionary Leadership Award from the SAE Foundation and the SKF – X Tracker award in 2009 for leadership in addressing industry issues. Mr. De Koker is recognized as an industry expert on issues facing the automotive industry with a particular emphasis on customer-supplier relations. Mr. De Koker has a bachelor’s degree in electrical engineering from General Motors Institute (now Kettering University) and a master’s degree in business administration from Michigan State University. He also attended the executive development program at Northwestern University.